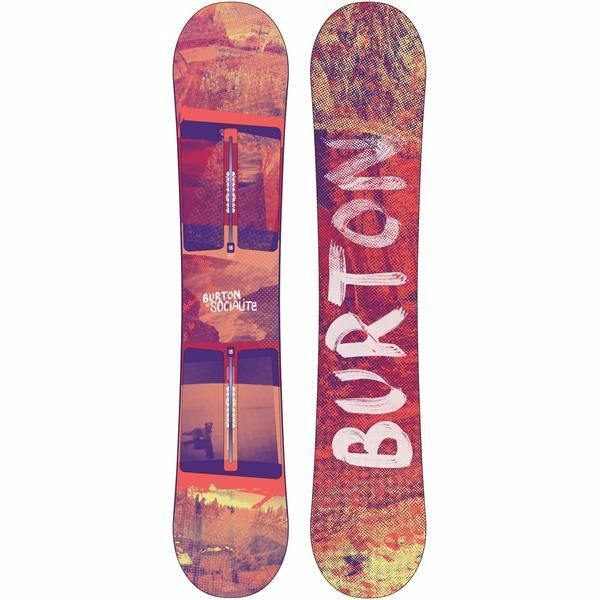 Looking for an extra flexy, hard-charging "soft" snowboard that take on park or pow? 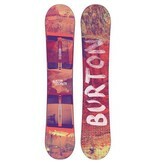 Up your game with the extra ooooomph of the Burton® Socialite snowboard! Flat top profile between the feet means stability, better balance, and continuous edge control. The tip and tail kick up with an early rise outside the feet for the catch-free, loose feeling you'd expect from rocker. The twin shape is perfectly symmetrical for a balanced ride that's equally versatile when ridden regular or switch. Jib, spin, stomp, and butter with a greater balance of freestyle mobility and cat-like stability no matter which way you point it. The twin flex is perfectly symmetrical from tip to tail for a balanced ride that's equally versatile regular or switch. The Super Fly® core is lightened up and loaded with pop, featuring a vertical sandwich of hard and soft woods that saves weight and improves snap and response. Dualzone™ EGD™ wood grain is positioned along the toe and heel edges on two continuous zones, perpendicular to the rest of the wood core, for consistent edge-hold and added strength. The sintered base is both durable and highly porous, with added durability and superior wax absorption for greater overall glide. Overbite Frostbite Edges gives you more fang with less bang by giving you twice the amount of Frostbite, resulting in a huge increase in grip on hard, icy conditions while remaining smooth and catch-free. Squeezebox Low technology improves pop and performance through the balance of thicker, more powerful core sections with thinner, more flexible sections.